A cleaned bed makes for a happy puppy. Fido not having the best smelling week? Maybe he played in the rain and then headed for his bed before you could get him dry. Maybe his bed's extra-smelly for another reason. 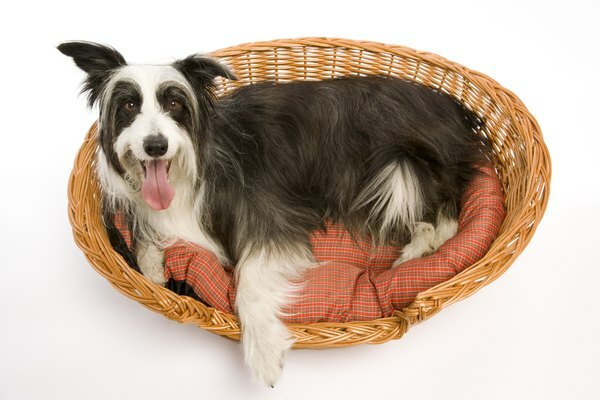 Whatever the reason, you can rehab even the stinkiest dog bed with some heavy cleaning. Separate the cover from the actual foam or inside filling material if at all possible, so you can wash them separately. This will help you get both cleaner. If there's a tag on the dog bed, read that carefully. Some beds have a "don't use heat to dry" warning while others cautions against using strong detergent if you want to preserve the color and quality of the cover. If that's the case, follow the directions for the cover only. Don't worry too much about the fill material being "mistreated" -- it'll be covered by a nice slipcover in the end, and your main goal is to get rid of the stink anyway. Soak the dog bed -- with or without the cover, depending on the type you have -- in a tub containing hot water and laundry detergent. You can also add a stain-remover product that doesn't contain bleach or ammonia, both of which could cause allergic reactions in your pet. Make sure the water covers the bed completely, even if it means placing something heavy on top so it will sink. Leave it in the tub for at least 15 or 20 minutes. Bed is truly stinky? Soak it in your tub overnight and add a touch of vinegar to the water. Remove the bed from the tub and immediately place it into the washing machine. If you're washing the cover and filling separately, make sure you don't use very hot water for the slipcover -- otherwise, it might shrink too much. Hot water is fine for the filling or if you're washing the whole bed at once. Wash once using vinegar instead of detergent. This will help kill the bacteria causing the strong smell. Then wash again using laundry detergent and color-safe bleach. The bleach will kill any strong odors you wouldn't be able to get out with just soap. Add softener for a touch of flowery smell. Let the bed air-dry, preferably in a sunny spot. Once it's dry, check the smell. You might need to repeat the process for very strong smells that refuse to go away.